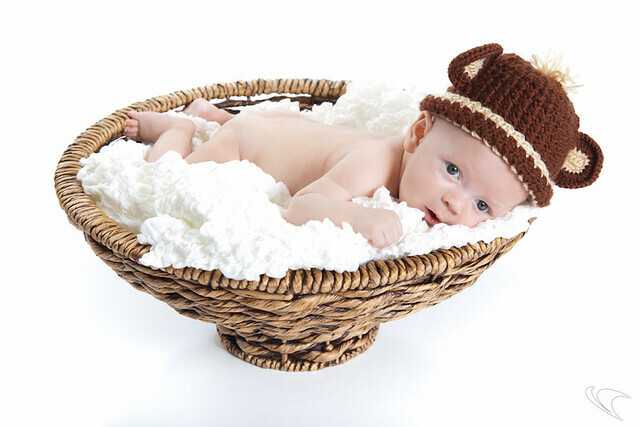 A photo from the Baby Photoshoot we did last night in our new photostudio downstairs. By the way, this photo is straight from the camera. I had two studio lights on the background and two lights with shoot through umbrellas to the left and right triggered with RadioPopper JrX. Using a mix of studio lights and speedlights. Im using one 580ex II and 3x 300ws studio lights (just ebay specials). Alienbee 800 on Left and Right with shoot through umbrella. 2 more lights on seemless white background.